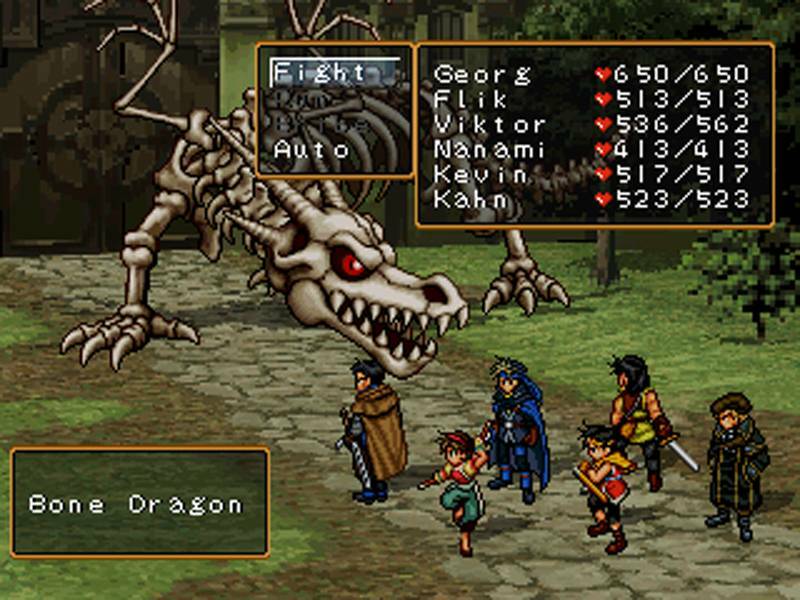 Suikoden II is a turn based random battle RPG. It was first released for the PS1 in 1998 in Japan then North America in 1999 and Europe in 2000. For a very long time you could only play it if you had a physical copy of the exclusive PS1 game and there were very few copies released. This is why you may have seen the game going for $250 to even as high as a $1000. Thankfully Sony released it on PlayStation Network in December of 2014. A conflict is about to end with a peace treaty between the Highland Army and the City State of Jowston. Jowy Atreides and the Hero (you name him) are part of the Highland youth division. They are attacked one night and Jowston is the main suspect. 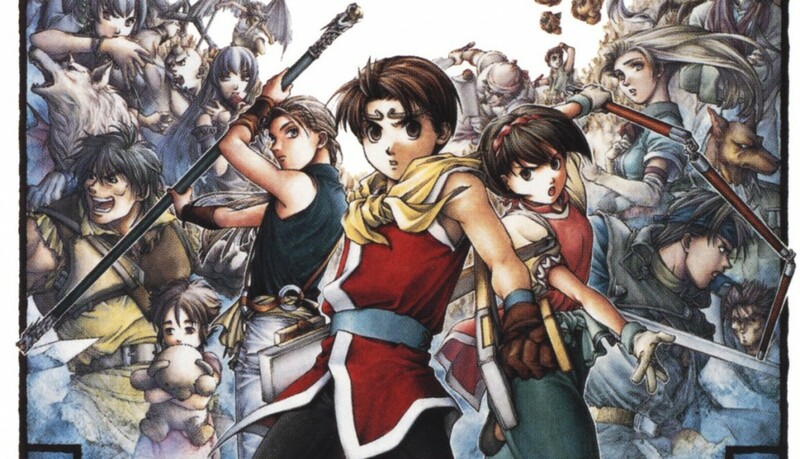 We liked the story and the continuation of the Suikoden mythology. Some people don’t trust or like the Scarlet Moon Empire the former nation from the first Suikoden game even though they were defeated and it is now named the Toran Republic. The Highland Army and the City State of Jowston are the main armies attacking each other and trying to gain support anyway that they can. Jowston by raising a rebel army and trying to gain allies through treaties and The Highland Army are invading and forcing people all over the country to join or die. There is a lot of entanglement of allies and betrayal. It reminded us of Final Fantasy Tactics and that is a very good thing. Suikoden II did leave feeling a little bit empty at times. In the first game there are these great army battles that require some strategic thought and you looked forward to them and wanted to save your game just to replay them. Also, the more members you recruited for your army the more options you had during these battles. 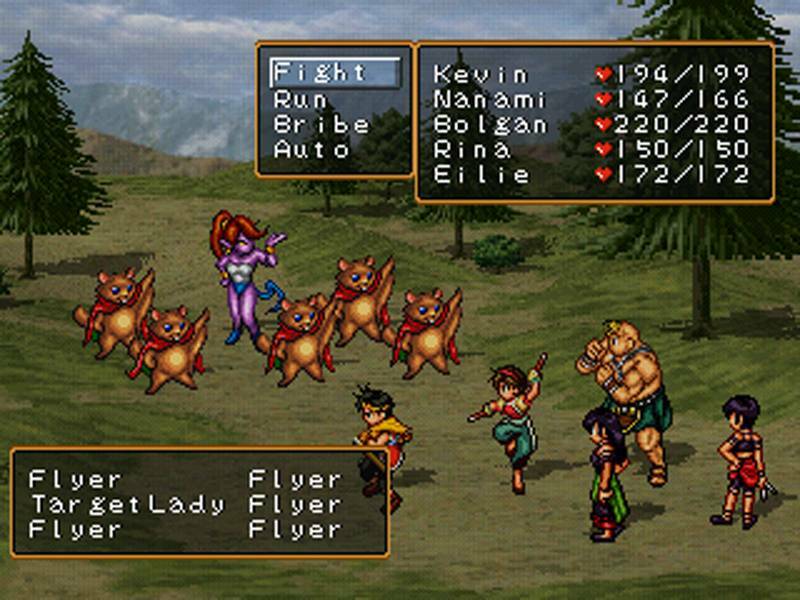 Suikoden II lacks this in a major way. There are battles between armies but they are watered down, boring, pointless and you can have the computer do them for you. The one on one battles are also missing. There are only a few of them and they don’t add anything to the game. Towns lack simple things like Blacksmiths and Rune Masters and our biggest gripe there are no dragons which means no dragons during army battles. Suikoden II took us almost 55 hours to get through the game. 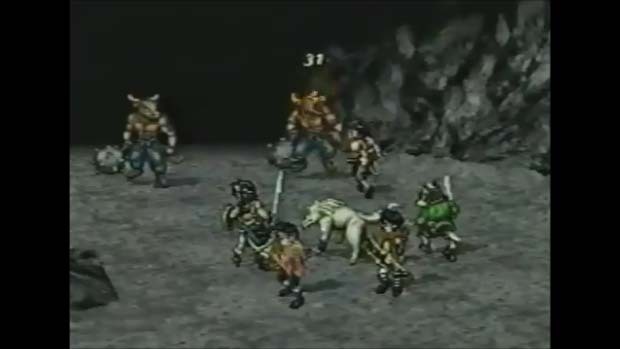 We started our game with a Suikoden save file and we found all 108 members. We liked the gameplay and combat and we loved playing using a carryover file from the first game. Common now but it was ground breaking at the time. With 108 members you would think money would be an issue but it was not. The inventory system unfortunately needs help. With 108 people in your army you need to be able to carry and store more things but the game won't let you. You waste too much time trying to decide what to keep and what to get rid of. At the $10.00 new game price it is easily worth the money but sales happen on PlayStation Network for under $5.00, which is a MUST BUY PRICE! Suikoden is amazing and your save file from Suiokoden II can be used to unlock certain things in Suikoden III!